This reading group guide for Where the Line Bleeds includes an introduction, discussion questions, and ideas for enhancing your book club. The suggested questions are intended to help your reading group find new and interesting angles and topics for your discussion. We hope that these ideas will enrich your conversation and increase your enjoyment of the book. The first novel from National Book Award winner and author of Sing, Unburied, Sing Jesmyn Ward is a timeless Southern fable of brotherly love and familial conflict—“a lyrical yet clear-eyed portrait of a rural South and an African-American reality that are rarely depicted” (The Boston Globe). Joshua and Christophe are twins, raised by a blind grandmother and a large extended family in rural Bois Sauvage, on Mississippi’s Gulf Coast. They’ve just finished high school and need to find jobs, but after Katrina, it proves more difficult than they’d hoped. Joshua gets work on the docks, but Christophe’s not so lucky and starts to sell drugs. Christophe’s downward spiral is accelerated first by crack, then by the reappearance of the twins’ parents: Cille, who left for a better job, and Sandman, a dangerous addict. Sandman taunts Christophe, eventually provoking a shocking confrontation that will ultimately damn or save both twins. 1. Why are the boys so sure they want to stay in Bois Sauvage after they graduate? If they didn’t have Ma-mee to think of, would they have been so set on staying? 2. Joshua reflects that “on average now, [Cille] talked to them less and gave them more” (page 10). Why does Cille support them but keep her distance? How does Joshua feel about Cille? How does Christophe feel about Cille? Do they want the same things from their mother? 3. Dunny tells Christophe, “You could find a way to make it. A broke way, but a way” (page 58). Why does he call it a broke way? What else is broken about Christophe’s opportunities in Bois Sauvage? 4. Why do you think the twins’ father, Samuel, is known as Sandman in the neighborhood? What associations does the nickname bring up? Why do Joshua and Christophe avoid calling him by name in conversation? 5. When Joshua and Christophe play basketball together after Joshua is called back to the dock, it’s a relief for both of them. Joshua reflects, “They were talking again . . . for the first time in days, even if they only opened their mouths to grunt, to bare their teeth, and to emit forceful breaths like expletives when they suddenly stopped to shoot, to spin, to score” (page 114). How is “talking” through the game a way for them to communicate even when they’re not speaking? Discuss other ways the twins communicate without words. 6. As Ma-mee frets over telling the boys about Sandman’s visit, she thinks about making them dinner to ease the pain. And when Joshua lets them know Cille is coming for a visit, Ma-mee “wanted them laying on the floor and lounging on the sofa together. She would cook them a big meal, make them lazy and easy with food” (page 125). Why is food so important to Ma-mee? What does it mean to her? 7. Why does “their mutual animosity” become a “veil” between the twins (page 135)? Why aren’t they able to overcome it once Joshua begins working at the dock and Christophe starts dealing at the park? 8. When Dunny tries to hide his stash from Christophe, do you believe Dunny when he says he never smokes it? Is he looking out for Christophe as much as he is for himself? 9. At Javon’s house, Christophe suppresses the “urge he had to walk over to his brother, to wake him, to pull him up and away from Laila and back two months into their world” (page 154). Why does Joshua’s love for Laila upset Christophe so much? Why does Joshua think of Christophe as “forsaken” (page 188)? 10. How does the altercation with Javon and Sandman change Joshua and Christophe’s relationship? Why does it affect them so strongly? What do you think happened to Sandman? 11. The novel begins and ends with water. The twins jump into the river at the beginning before graduation, and at the end they are with Dunny by the river again, fishing. What is the significance of water throughout the novel? How does it affect Christophe and Joshua? 12. At the hospital, Christophe closes his eyes while he holds his brother’s hand and shrugs, thinking, “His brother, their wounds, Ma-mee dimming like a bulb, his parents’ places unknown and orbiting them like distant moons: it was enough” (page 234). What is enough? Is it enough for both Christophe and Joshua? 1. Ward begins Where the Line Bleeds with a verse from the Bible and lyrics from Pastor Troy’s rap song Vice Versa. Listen to the song and read Genesis 25. How do these two references set the stage for the novel? 2. In Greek and Roman mythology, twins Castor and Pollux were transformed into the Gemini constellation when Castor was killed and Pollux asked Zeus to let Pollux share his immortality with his twin to keep them together. Compare Castor and Pollux to Christophe and Joshua. Can you think of other twins in literature with similar narratives? "A starkly beautiful debut ... A fresh new voice in American literature." "A resonant novel for any reader." "Lushly descriptive prose ... with stunning precision. Her prodigious talent and fearless portrayal of a world too often overlooked make her novel a powerful choice for our seventeenth Essence Book Club Recommended Read." "A lyrical yet clear-eyed portrait of a rural South and an African-American reality that are rarely depicted." "I feel like I have read the debut work of the next Faulkner, or Capote, or O’Connor, a great Southern writer whom my children might some day read in their college classes." "A richly textured tale ... like the best fiction, [it] creates its own world." "Ward’s beautiful language allows the location and characters to come alive ... will appeal to teens who can see themselves here or who are interested in discovering realities far from their own lives." "Bursting with life—joyous, loving, frustrated and furious—Where the Line Bleeds marks the forceful debut of an exceptional new talent. Jesmyn Ward's vision is at once searingly honest and sweepingly empathic. Her vibrant portrait of a Mississippi Gulf Coast town is peopled by some of the most movingly, achingly human characters I've encountered in fiction in years." "Jesmyn Ward's debut novel is eloquent in its description of young lives at risk; she's authoritative both when writing of the doomed and prospect of salvation. The lyric gifts displayed in Where The Line Bleeds are very impressive indeed, and the world evoked—the rural south, with its complex web of family devotion and betrayal—is vivid from first page to last. A major talent here." 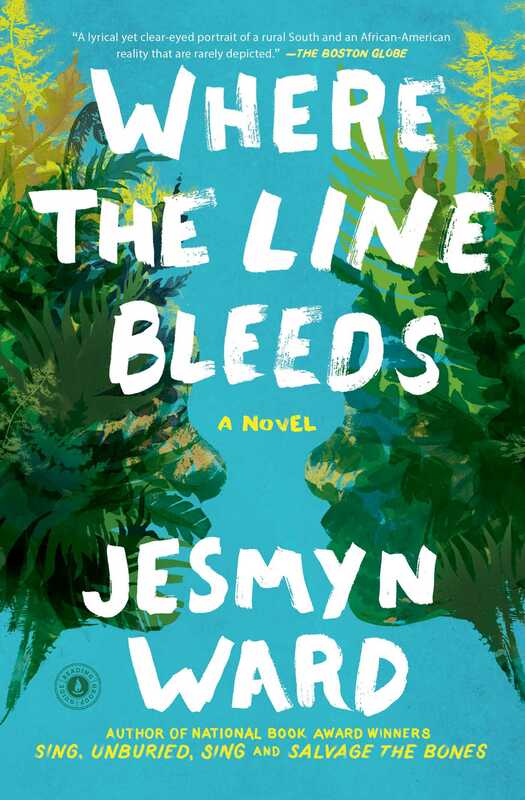 "Where the Line Bleeds is a rich, subtle, lyrical novel by an important new writer. 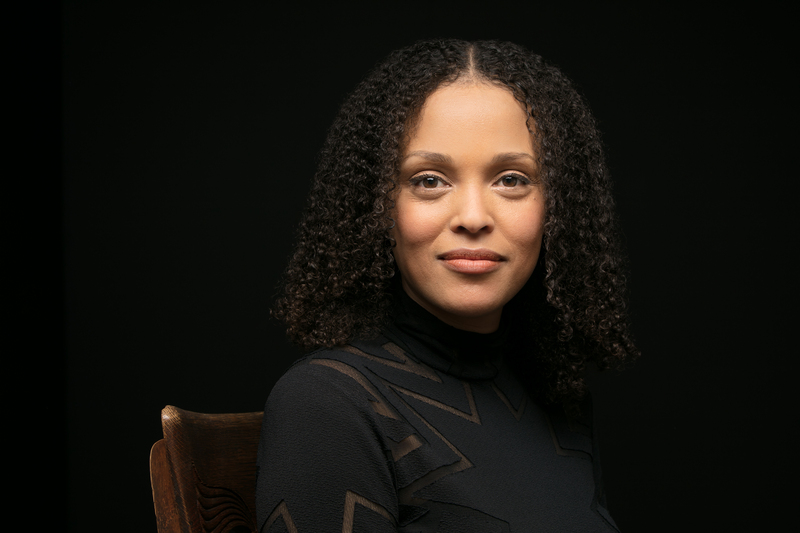 Jesmyn Ward writes with a miniaturist's attention to detail, with dazzling elegance and precision, but is unwaveringly compassionate in her exploration of character and place. There is suspense here, along with keen insight—the qualities that keep the pages turning. But there is also poetry, and mystery—the qualities that cause the reader to linger in wonder."